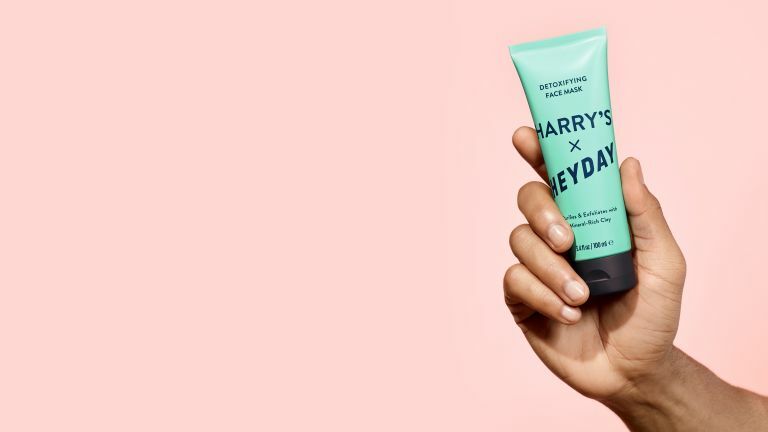 The men's grooming brand Harry's has teamed up with the expert estheticians at Heyday to created a new detoxifying face mask. It's the ideal product to supplement your daily routine, and should leave you with fresher looking, clearer skin. Best of all, it's a gentle on the skin, and made using natural ingredients. The face mask works in three stages. First it uses mineral rich Kaolin and Bentonite Clay to unclog your pores and detoxify your skin without drying it out. Then it exfoliates with finely ground walnut and skin-smoothing acids. Finally, barley seed extract helps to soothe you skin, so there's nothing standing in the way of your newly bright complexion. It's recommended you use the face mask once or twice a week, spreading a thick layer onto clean, dry skin. After leaving it on for between five and ten minutes, use your hands and lukewarm water to wash it off. We've been using the product for a while now and really love it (the mask smells really good). It's worth noting that it does contain nuts, however, so it's probably worth avoiding if you have an allergy. Buy Harry's x Heyday Face Mask on Harry's website for £18.